CAT-Law Navigator: Super-Typhoon Nock-Ten: Late-Season Abnormality or Harbinger of Larger Changes? Super-Typhoon Nock-Ten: Late-Season Abnormality or Harbinger of Larger Changes? An unusual December super-typhoon made several landfalls in the Philippines on Christmas Day 2016, bringing heavy rainfall, fierce wind gusts, and dangerous flooding to the island nation. While the number of fatalities associated with Super-Typhoon Nock-Ten—or Nina, as the storm has become to be known in the Philippines—remains relatively low, the physical damages are currently estimated to be in excess of USD 100 million. Treacherous typhoons are not an uncommon threat to the Philippines, which are located in the Western Pacific Ocean. In fact, in 2016, the region was ravaged by several powerful super-typhoons, equal to Category-5 hurricanes in the Atlantic basin. For example, super-typhoon Haima—or, Lawin, as it is known in the Philippines— reached maximum sustained wind speeds in excess of 160 mph. Haima made landfall in the Philippines on October 19, 2016, causing damages of approximately USD 150 million. The record-breaking storm developed extremely rapidly, reaching maximum sustained winds of 160 mph within a short timeframe of five days. On December 20, 2016, meteorologists detected a tropical disturbance near Yap in the Western Pacific Ocean, over 1,100 miles east of the Philippines. By December 23, 2016, the tropical disturbance had intensified to a typhoon, with maximum sustained winds of 115 mph, the equivalent of Category-4 hurricane in the Atlantic basin. Benefiting from ideal conditions along its path with a low vertical wind shear and warm ocean waters, Nock-Ten then swiftly transformed into a super-typhoon by Christmas Day, with wind speeds equivalent to a Category-5 hurricane. Even though tropical cyclones can form in the Western Pacific region all year round, it is unusual for a typhoon of this strength to form late in December. 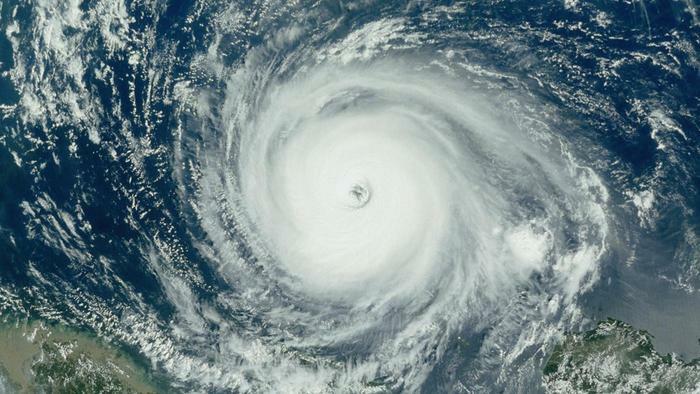 Typhoons, like hurricanes, require ideal conditions, including surface water temperatures of at least 26.5 degrees Celsius, to form and strengthen. With cooler sea surface temperatures in the Northern Hemisphere during the winter months, tropical cyclones in the Atlantic and Western Pacific become less likely. In fact, according to the government weather agency of the Philippines, only seven typhoons struck the country on Christmas Day in the past 65 years. Similarly, in the Atlantic basin, hurricane formation generally peaks in August and September, before dropping sharply in October and November as water temperatures fall. However, late-season hurricanes do occur occasionally, with devastating effects. For instance, Hurricane Wilma formed on October 16, 2005 and made landfall in Southern Florida on October 24, 2005. Over sixty people died in the United States alone in accidents related to this powerful Category-5 cyclone, and damage to property exceeded USD 20 billion. Unusual late-season tropical cyclones, such as Super-Typhoon Nock-Ten or Hurricane Wilma, may pose serious concerns for the insurance industry. Catastrophe models, which are nowadays regularly used in the industry to assess the probability of the occurrence of catastrophic events, depend, inter alia, on historic data. Where the data is of poor quality or unavailable, it may be difficult to generate reliable models to accurately predict late-season tropical cyclones. Certain developing regions or countries that are prone to tropical cyclones may not have the tools to adequately record and analyze the data associated with late-season tropical cyclones. In addition, catastrophe models depend on the correct analysis of the data that is fed into them. For example, with regard to late-season cyclones, the question may arise to what extent global warming and rising water temperatures contribute to their formation, if at all? Do other factors, such as, for instance, changes in the atmosphere, explain the strength of recent late-season cyclones? That is to say, is Super-Typhoon Nock-Ten the proverbial “odd one out” or is it the harbinger of larger changes? Lastly, late-season tropical cyclones may impact certain lines of business in the insurance industry more than others. For example, the impending threat of Hurricane Wilma in late October 2005 forced the PGA Tour to cancel the Miccosukee Championship in Miami for safety reasons. Several other sporting events were eventually postponed or rescheduled, causing quite a headache to event organizers and attendees alike. Likewise, Super-Typhoon Nock-Ten impacted Christmas celebrations throughout the Philippines and left thousands of travelers stranded. In sum, the more data on late-season cyclones is recorded and analyzed, the better the insurance industry is equipped to understand these phenomena and their causes and to brace for the future.